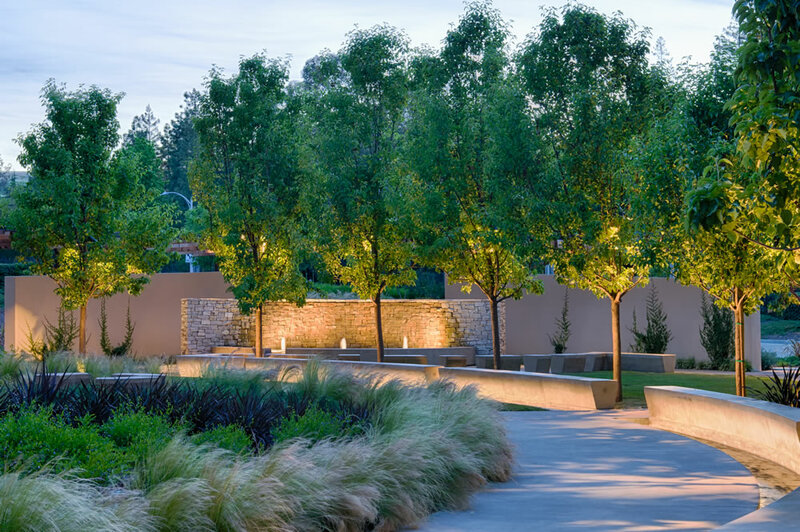 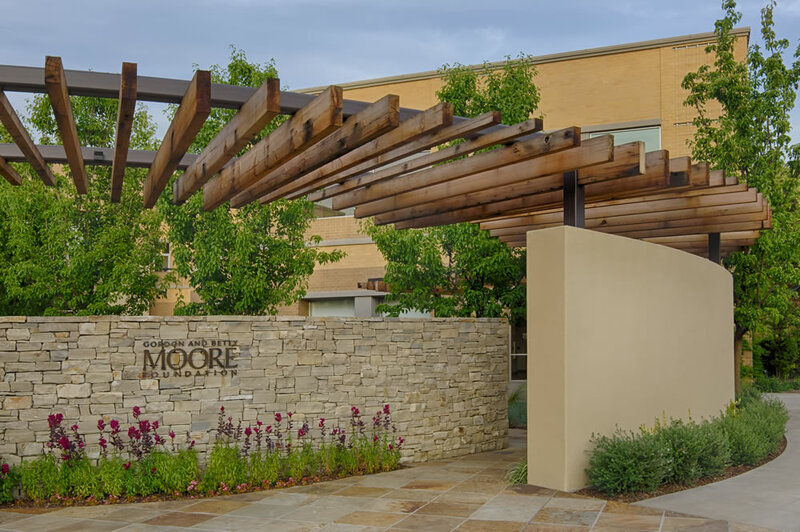 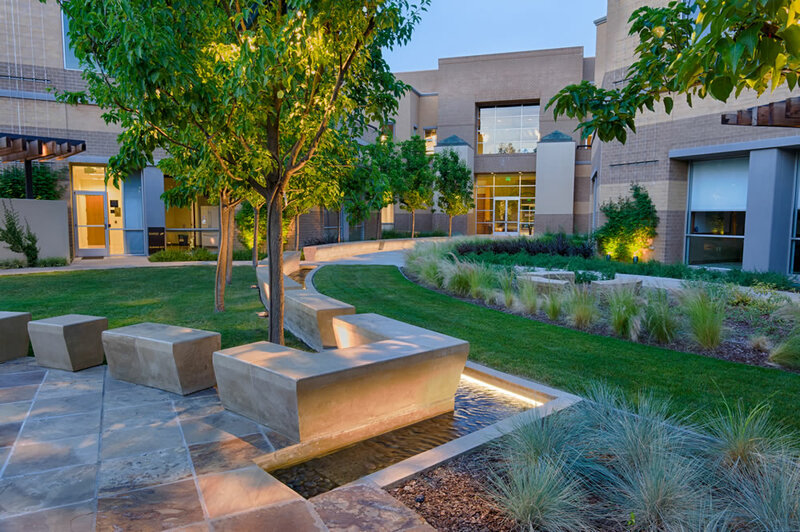 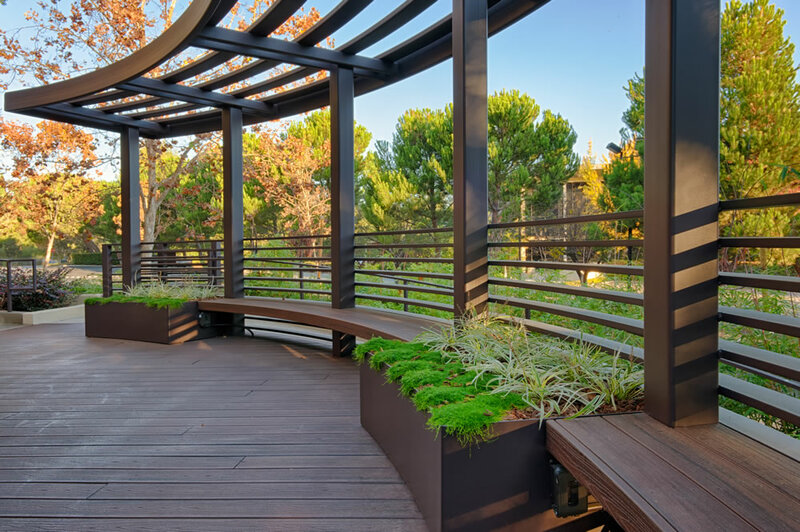 The Gordon and Betty Moore Foundation headquarters in Palo Alto, California was improved to include the enhancement of employee and visitor outdoor areas for meetings and dining. 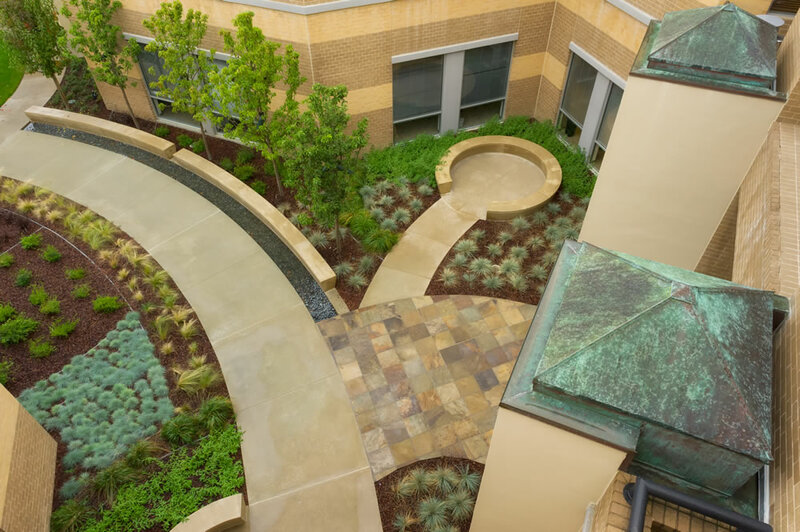 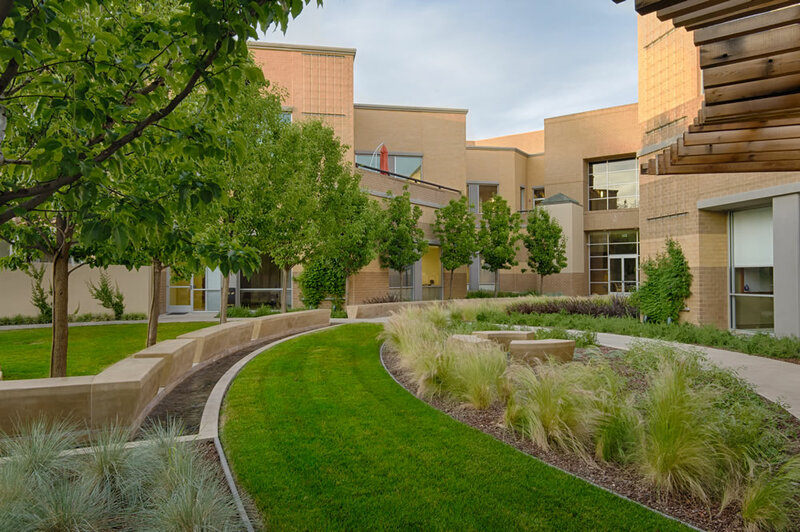 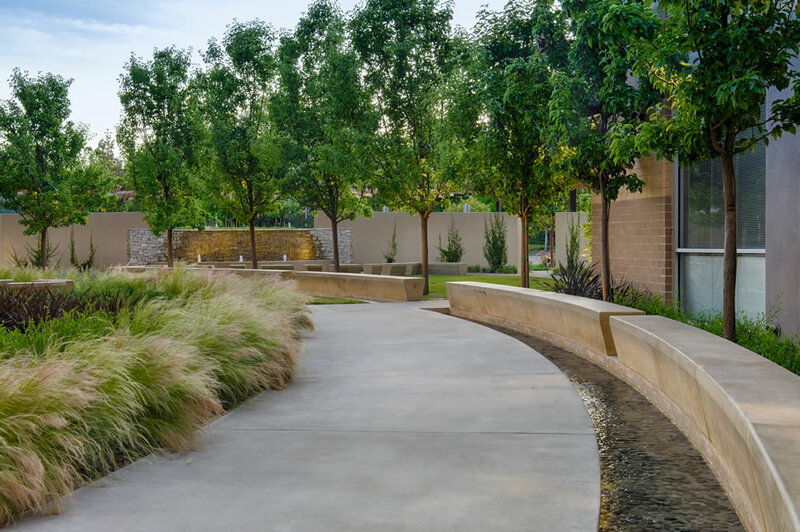 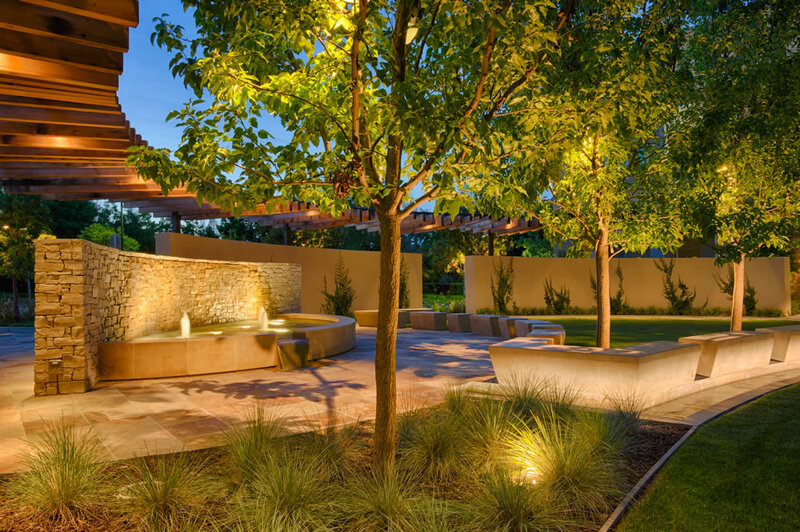 In keeping with the foundation’s core values, the site improvements include sustainable design elements including rainwater collection, drought resistant landscaping and the use of recycled or sustainable building materials. 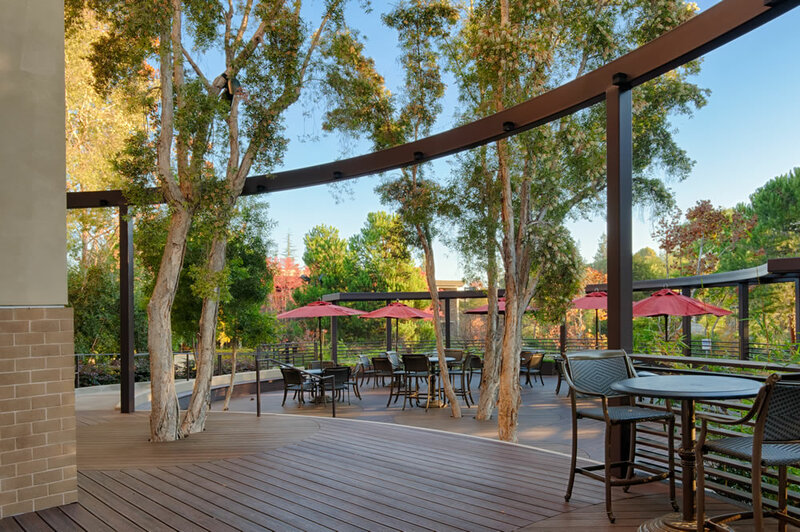 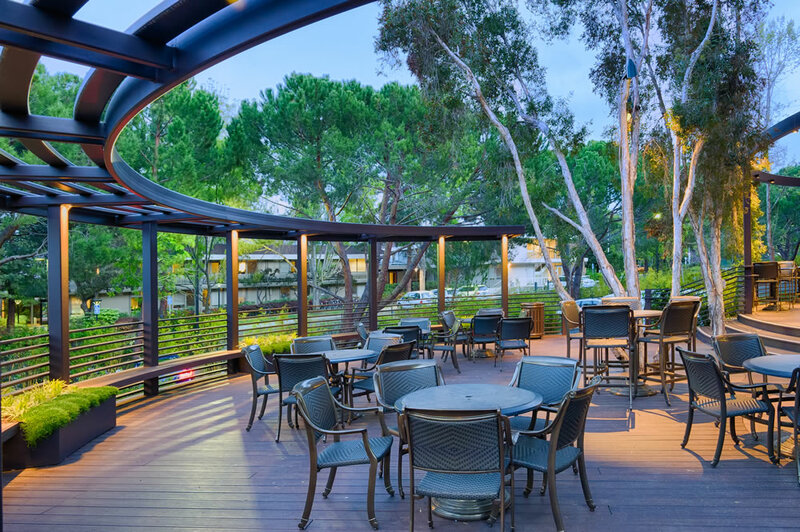 A new deck, constructed with manufactured recycled composite boards, provides employees and guests with an outdoor meeting and dining area. 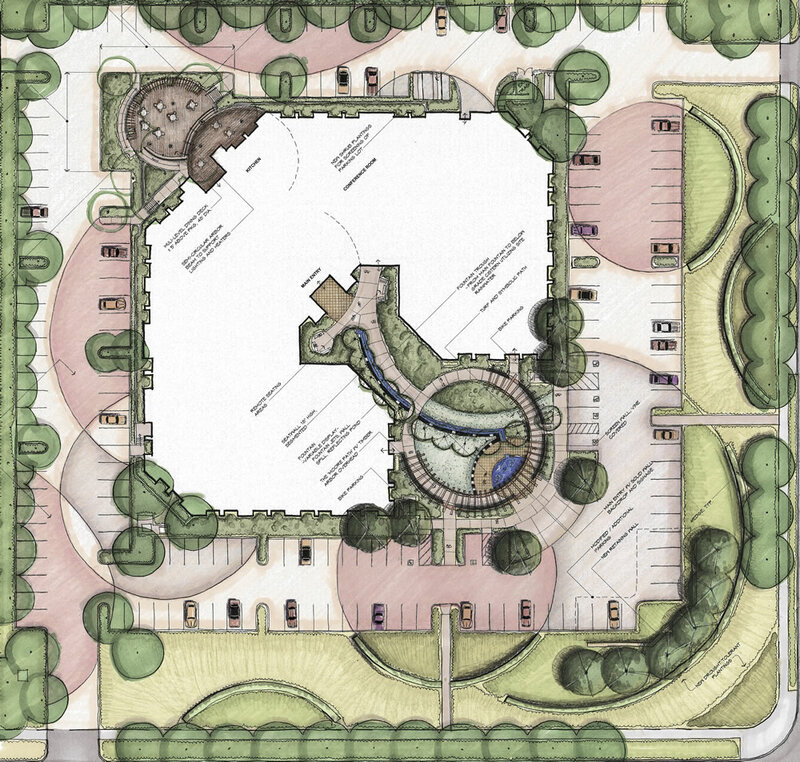 A series of semi-circular walls separate the new entry court from an adjacent parking lot and Page Mill Road traffic noise. 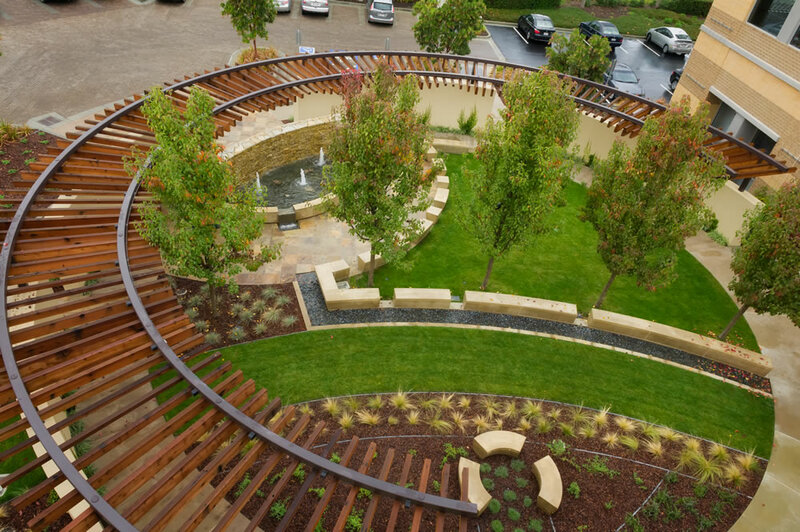 A circular trellis constructed of steel framing and reclaimed timbers provide a version of the “Moore Path” that exists within the building interior. 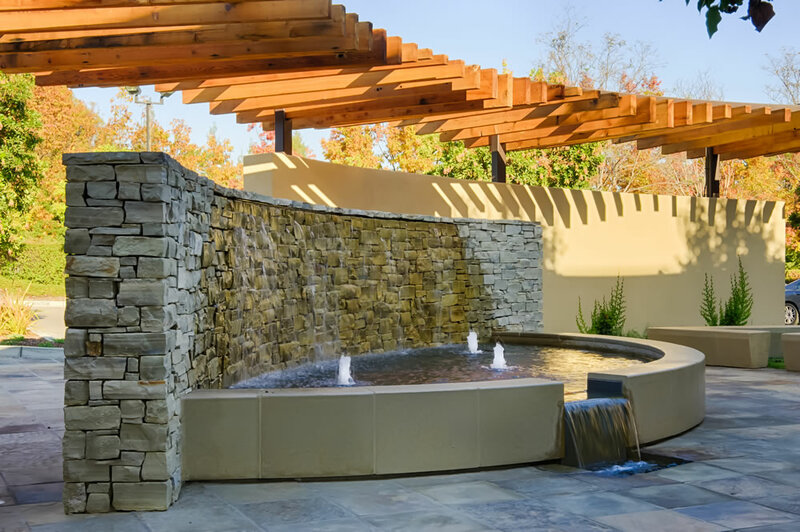 A key element of the entry court is a water feature that originates with a waterfall into a pool, then spills into a runnel that runs the length of the court to the front door. 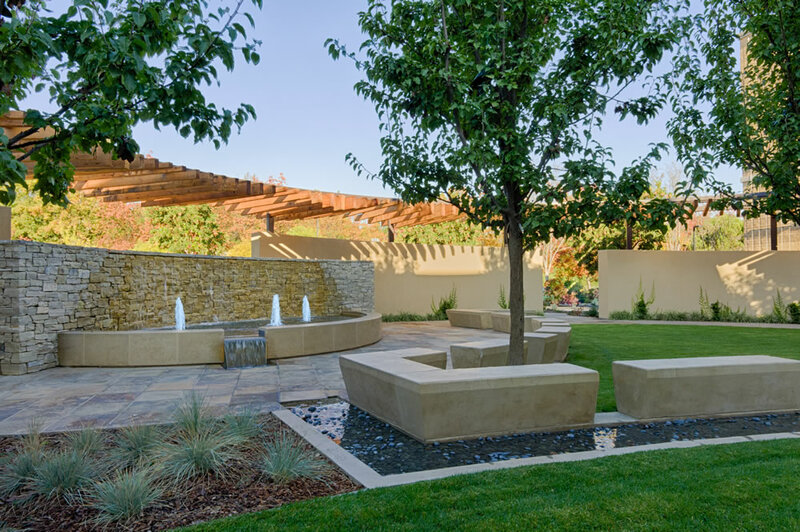 The fountain water is replenished via a 12,000 gallon rainwater cistern that is buried below the lawn area.